Throughout many years, Enterprise Mobility has created most advanced Java applications for our customers, bringing more value to their businesses. Our Advanced Java Applications solutions bring cutting-edge mobile applications in the market. These applications are developed with experience and technical knowledge, according to current economic conditions and needs. Enterprise Mobility has rich experience in developing Java-based applications solutions. Undoubtedly, mobile phones, handhelds and various Java based devices are ubiquitous and indispensable not only in business but also in our everyday life. Nowadays, fully integrated mobile technology is integral part of our daily lives and business activities to make life more simplified. Nowadays, fully integrated mobile technology is integral part of our daily lives and business activities to make life more simplified. 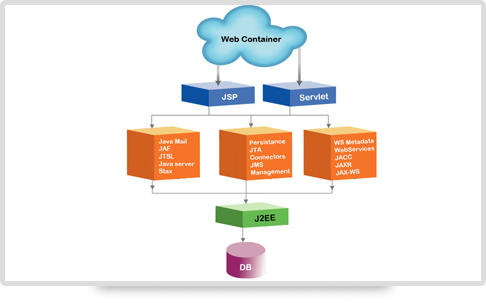 Most of well known Java-based applications solutions are known for their flexibility, reliability and portability between different platforms. That makes Java applications development so attractive to mobile application developers and software development, and as a result many well known application development have introduced most innovative java application in the market.